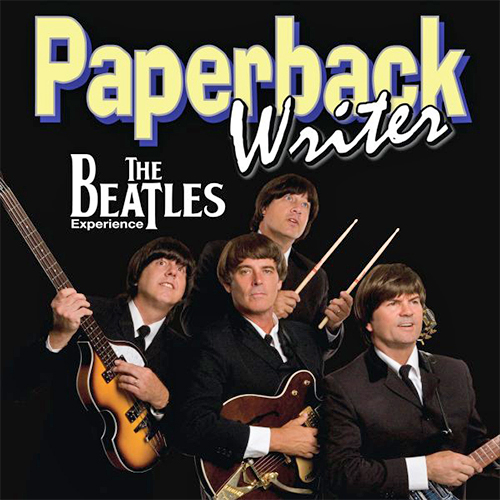 PAPERBACK WRITER takes it's audience on a trip through the musical years of the world's most popular rock group of all time! Hear the hits from the Ed Sullivan Show through the colorful Sgt. Pepper's years and on to the roof tops of "Let It Be" performed with the spot on vocal, look and sound alike ability of the BEATLES. This national show has been featured at Disneyland and Disney's California Adventure park, Hard Rock Hotel resorts as well as dazzling audiences across the United States and around the world performing for fairs, major casinos and the cruise industry.